The results are in from the joint awards event between TechCrunch, Read/Write Web and GigaOm held on Friday, January 18th. Brian Solis covered the 2007 Crunchies and took some super photos from the event. 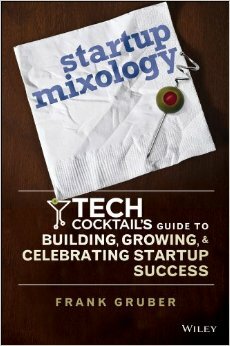 While TechCrunch offers up the Winners. 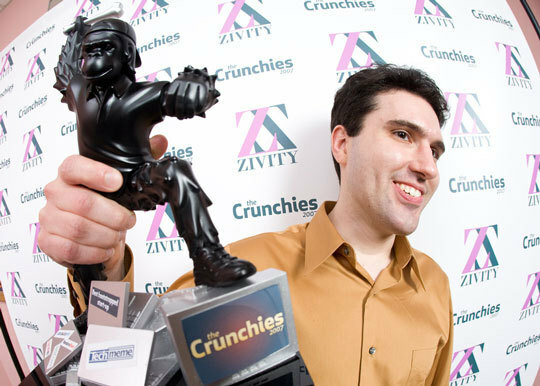 If you missed the event this year you can watch the 2007 Crunchies online. At MacWorld Steve Jobs unleashed the new Apple ultra slim and portable MacBook Air laptop. It is super expensive and does not allow you to take the battery out but it still looks pretty slick and would not mind having one. New 2007 data indicates the $29.41 billion invested in companies is the highest level since 2001, when VCs plowed $40.62 billion into businesses. If you are new to Twitter you should read this article by Dosh Dosh. The "Google generation" not so hot at Googling? A new report sponsored by the British Library and the Joint Information Systems Committee, tries to get beyond the stereotypes to find out just how good young people are with information technology, and what the implications are for schools and libraries. GigaOm takes a look at the brief history of online social networks. With Sundance Film Festival happening in Utah find out how filmmakers are leveraging some new technology. Createlf explains how only the aggregators are the big winners, the long tail of users who publish content will stand to loose the most. A free 27-page summary of Project10X’s Semantic Wave 2008 Report has been made available to Read/Write Web readers. Yahoo and its roughly 250 million user IDs officially jump on the OpenID bandwagon. Gigya has launched a widget advertising and distribution network to seed and get wider distribution of advertising widgets similar to Clearspring. Is Mobile Food Ordering Here To Stay? We reported on Papa John's getting into the mobile ordering game exactly two months ago. Today we have learned that PizzaHut has also stepped into the mobile game allowing you to order your favorites from anywhere using your sms device. Sun MicroSystems said today it would pay $1 billion to buy privately held open-source database maker MySQL, a move that strengthens Sun’s ability to offer an alternative to proprietary software. VentureBeat reported a rumor this week that Facebook might be buying Plaxo, the online profile aggregator. Jeff Pulver explains how he is finding himself using Facebook messaging rather than email more and more these days. Similar to Songza and other music search sites, seekmp3.info is a good search engine that helps you find music you like on the web, then allows you to listen and download your favorite songs to your computer.